I recently read a newsletter that went into the science behind why we don't like certain words. One that comes to mind for most people is "moist." I learned that it isn't the word, or the way it's said, that upsets us. Rather, context plays the most important role (for example, no one gets bent out of shape when talking about a moist cake). From reading this newsletter, I began to think about words I am not particularly fond of and have worked on figuring out why. Well, this one doesn't take too much digging. While "classy" is generally used in a positive, complimentary way, I tend to think of class distinction and differences. So often etiquette is viewed as a distinguisher rather than a way to be inclusive and put everyone at ease. In my mind, saying "classy" is a "holier than thou" mentality, which is far from the intent and purpose of etiquette. You know when you first hear a song and kind of dig it, then you hear it incessantly and can no longer stand it? That's how I feel about the word "authentic." Every site I visit seems to have a million articles with this buzz word so I avoid ever using it in my own writing. The word in and of itself is just fine, but it's frequency of appearance is annoying. There's more of a story behind this word...I won't go into all of the details, but my use of this word became a source of contention in my household because there was disagreement on the aptness of its use. Just like moist, this is circumstantial, but now when I hear "probably" I'm transported back to the argument of this word and want to avoid it all costs! 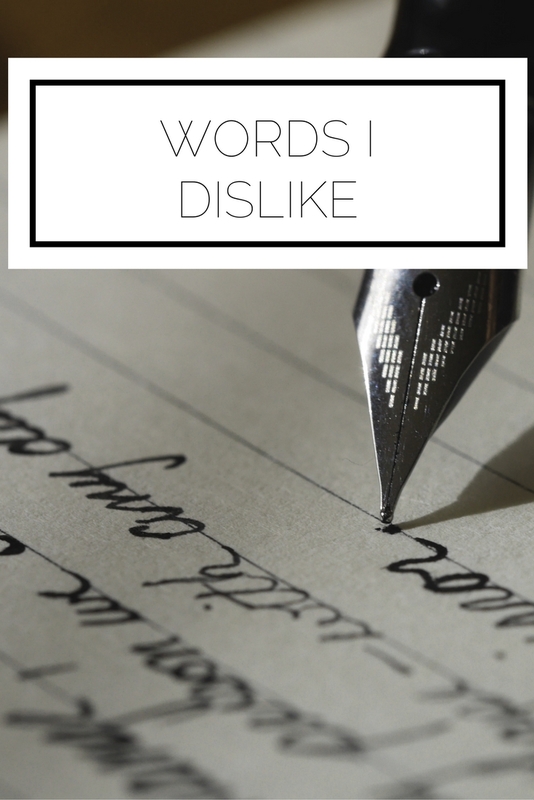 What words do you dislike? Can you figure out why?